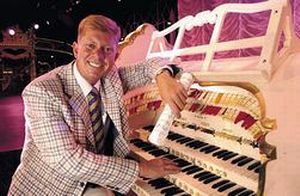 Thursford Collection is open as a working museum from Good Friday to end September, (closed Saturdays) when all our mechanical organs are played and shows are given on the Wurlitzer by Robert Wolfe. There are also fully working old fashioned fairground carousels and static displays of both fairground engines and road engines and all kinds of related memorabilia, plus short silent movies. Two behind the scenes tours are also available. The back stage tour is the behind the scenes of the famous Christmas Spectacular shows which takes in the dressing rooms, costumes stores, wardrobe and a visit to Fantasy Land. The other tour is the reconstruction of George Cushing's engine yard, video presentations of how these machines were used and the old forge. Renovated farm buildings house our gift shops, with a large range of gifts from ladies and children's fashion, jewelery, books, pictures, musical and children's goods, to our famous Christmas shop and pantry/sweet shop. Plus an ice-cream parlour with its homemade ice creams together with coffee/tea shops, and a large adventure play park for children of all ages. During November and December the building is changed into a theatre for our Christmas Spectacular shows and the Fantasy Land building houses the Santa's Magical Journey into Christmas with a visit to Santa in his own home. One mile off the A148 road half way between Holt and Fakenham.